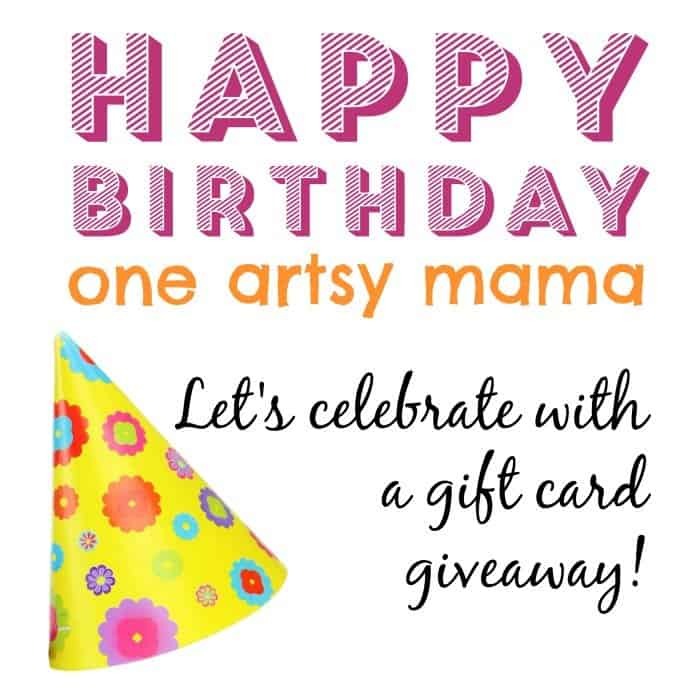 Today I am helping One Artsy Mama celebrate her 3rd Birthday by giving you a chance to win one of 3 gift cards. You could win a gift card to your choice of places: Starbucks, Target, Michael’s, Hobby Lobby, or Amazon. And because it’s her 3rd birthday there are 3 winners! This giveaway will run through March 24. Good luck & thanks for visiting! Thanks so much for celebrating with me, Sarah! Happy to Amy! Here’s to many more fun years.